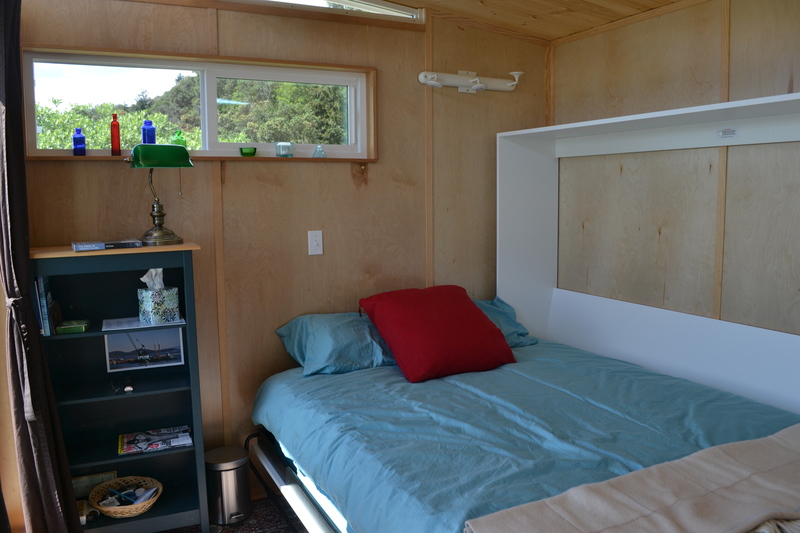 This Modern Shed guest room is a space solution for Debbie and Burt. 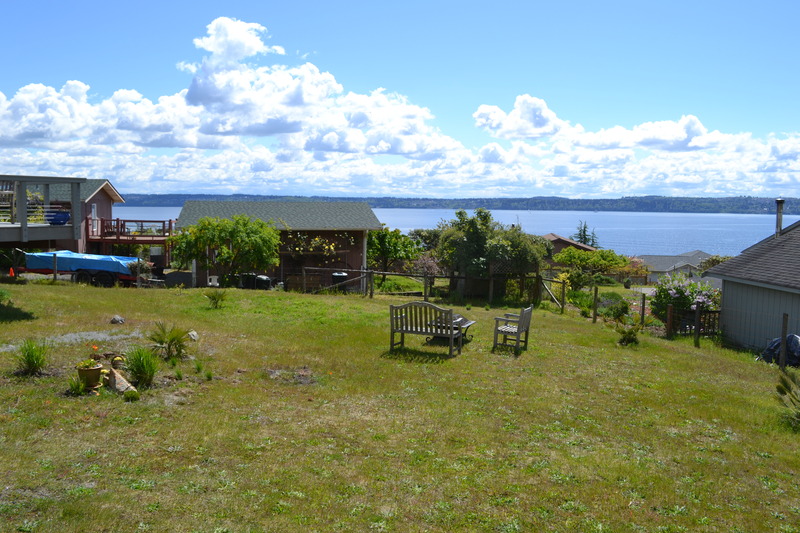 Vashon Island — Burt and Debbie have lived in the greater Seattle area for more than 30 years, but they dream of escaping rush hour and congestion to live full-time at their Vashon Island home. Their dreams became more of a reality two years ago, when their long-time renters decided to move on. The couple elected to spend more time at their Vashon Island home, however, there was one problem — they didn’t have quite the space they wanted for visitors, including their two adult children. The couple have envisioned a landscaping plan that included a Modern-Shed for years, and after re-modeling their home, they decided to move full-speed ahead on a Modern-Shed. 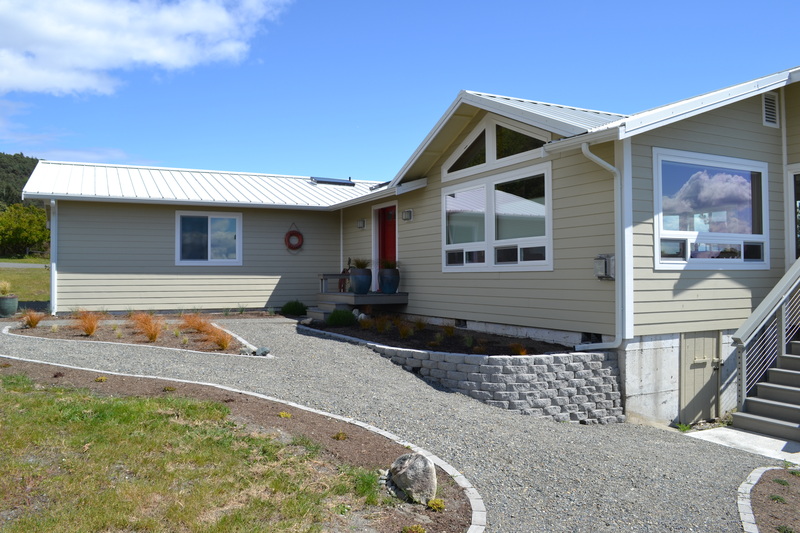 The Modern-Shed guest room blends in seamlessly with Burt and Debbie’s modern home. “We thought we might as well do it and bite the bullet,” Debbie remarked. 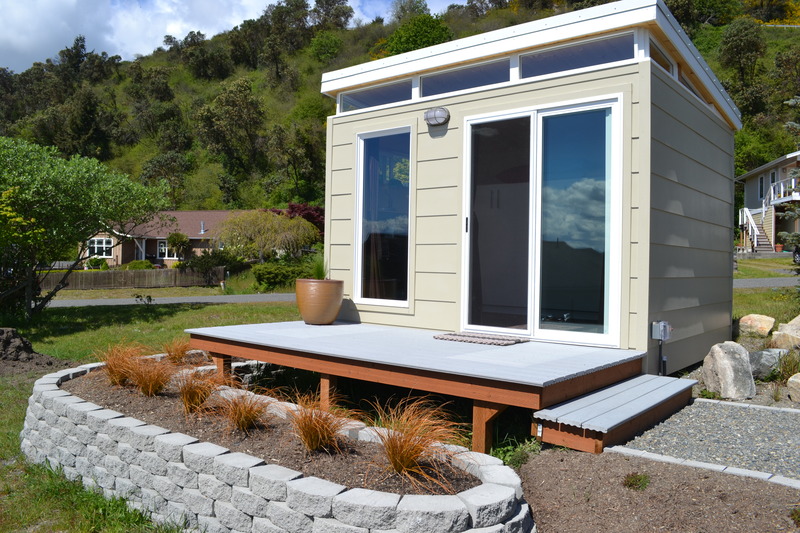 The couple selected a 10’ by 12’ Modern-Shed that blends in seamlessly with their house — so much so that this blogger didn’t realize their Modern-Shed was a Modern-Shed! The Modern-Shed guest room has an incredible view of Mount Rainier on days when it’s not cloudy and will eventually be hooked up with TV and the Internet for their guests to enjoy. BredaBeds sells hideaway beds that can be stored when they’re not in use. To save space, the couple set up a queen size BredaBed modern Murphy bed that is discreetly tucked away until guests are ready for it. The couple added a 12’ by 6’ deck around the guest room, as well as a screen below the deck to keep out raccoons. The room is also fully insulated with electricity. Burt and Debbie’s kids used to call the “Shed and Breakfast” the Rainier Room because on a clear day, you can see Mount Rainier from the deck. So far, several family friends have all stayed at the Modern-Shed, including young kids who treated the room like a little play area away from adults. 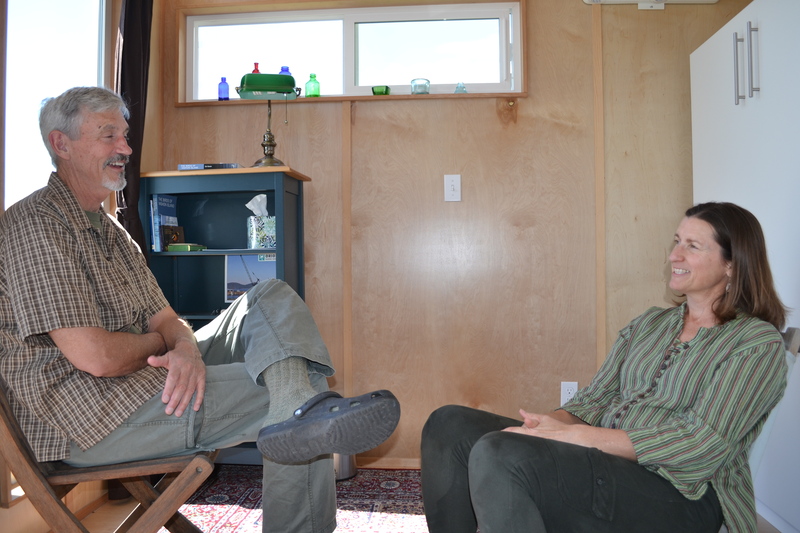 Burt and Debbie love spending time in their Modern-Shed guest room. < Previous What in the world is “open joint siding?